Since 2003, TAIKOPROJECT has been one of the leading American taiko performing ensembles, seamlessly combining the best of traditional and powerful taiko styles with an innovative, sublime, modern aesthetic. An exhilarating and explosive concert of percussive power, strength and precision artfully blends music, theater, choreography, costumes and set design. 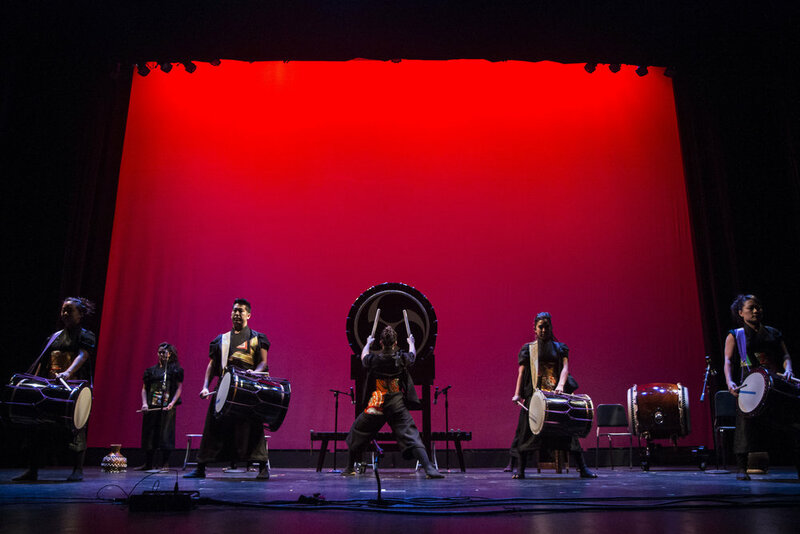 Immersing audiences in a world of aural and visual soundscapes, the company’s enthralling, artful fluidity and graceful movement harkens back to taiko's ancient roots in the martial arts. TAIKOPROJECT’s powerful drumming unites ancient Japanese tradition with 21st century American innovation. Instruments featured are percussion, bamboo flutes, marimba and koto (Japanese harp). TAIKOPROJECT’s core musicians in a high energy, dynamic performance contrasting the power and excitement of Japanese drums with the subtle melodic accompaniment and nuance of the koto (Japanese harp), marimba, and yokobue (bamboo flute). 6 performers, for smaller venues and streamlined technical considerations. To book these shows, contact Jerry Ross at Harmony Artists. TAIKOPROJECT has performed for special events all over the world, providing taiko to add an unforgettable, exciting visual and aural element to enthrall audiences. From short, powerful openers to extended-length sets, we have done it all! We pride ourselves in being the leading choice for special events, video appearances, content creation, and audio recording locally and across the U.S. TMEG Productions, Octagon Events, Wilson Dow Group, and ZenArts are just a few of the dozens of event and production companies we have worked with over the last two decades. Over the years, TAIKOPROJECT has been invited to infuse taiko into store openings, employee conferences, gala dinners, product launches, fashion shows, and customer recognition events all over the world. Each event is customized for the scale and scope of the event and we pride ourselves on 100% client satisfaction. We bring our high standards of performance and professionalism for your event, big or small, and will leave a lasting impression on your guests! Just look at a selection of some of the clients and venues we've performed for to see the breadth of our experience and range. For booking information or to start customizing a taiko performance for your corporate event, contact Executive Director Bryan Yamami at bryanyamami@gmail.com. TAIKOPROJECT is the most active taiko performance ensemble in the fair, theme park, and zoo industry. The team has been booked for long-term and repeat engagements across the country, including the Nebraska State Fair, the Indiana State Fair, SeaWorld San Diego, the San Diego Zoo Safari Park, the OC Fair, and the Georgia National Fair. Stage performances and strolling performances are available in various performer group size configurations, with optional audience participation segments. 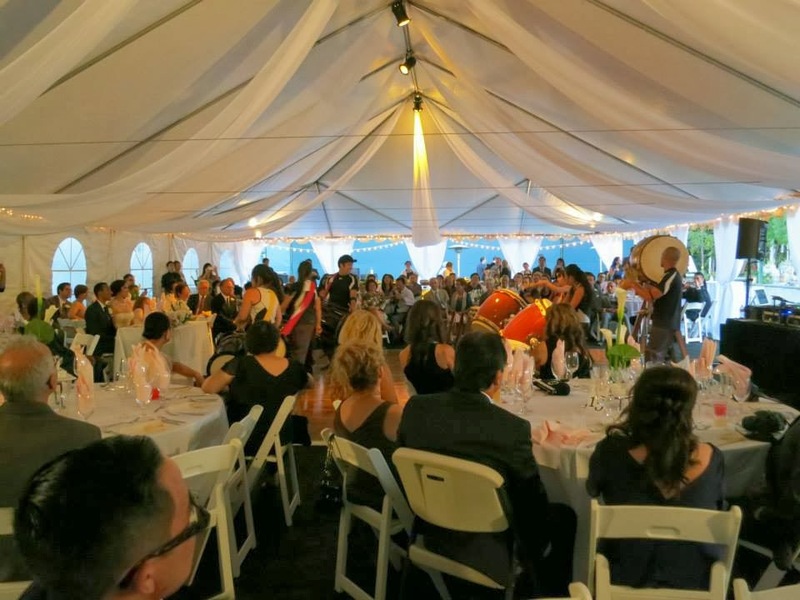 Looking to add something exciting or your wedding reception entrance or an unforgettable surprise taiko performance for your friends and family? 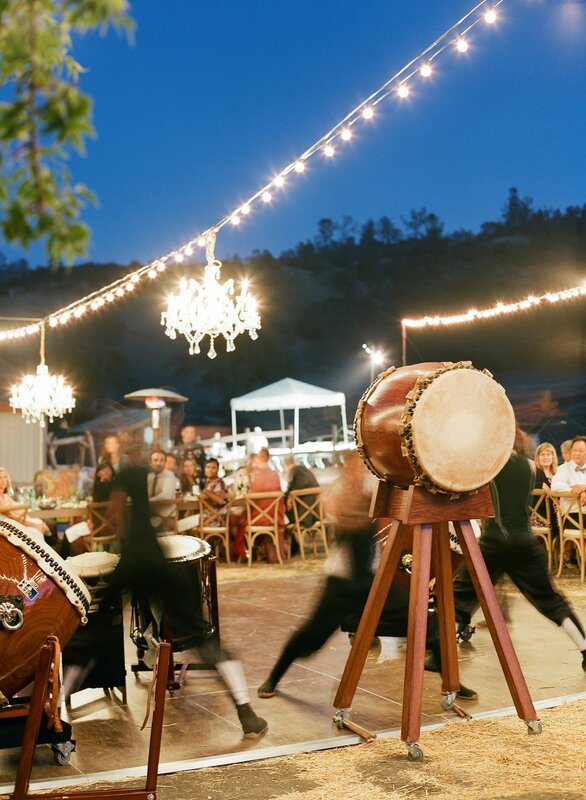 We have worked with brides, grooms, and some of Southern California's top wedding planners to add taiko to make their special day one-of-a-kind!